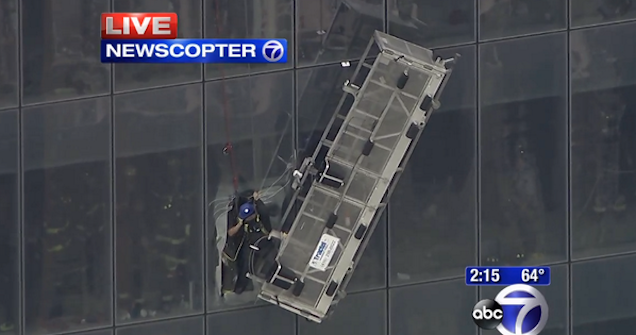 At least two window washers are trapped outside of the 68th floor of 1 World Trade Center. Rescue workers are working to free the trapped workers, who were reportedly on their way to the top of the building when of their scaffold's motors or cables broke just before 1 p.m. The FDNY is reportedly working to break through the building's windows to reach the workers. You can watch a live stream of the rescue here. 1 World Trade Center, which, at 104 stories and 1776 feet, is the country's tallest building, just opened to the public last week. 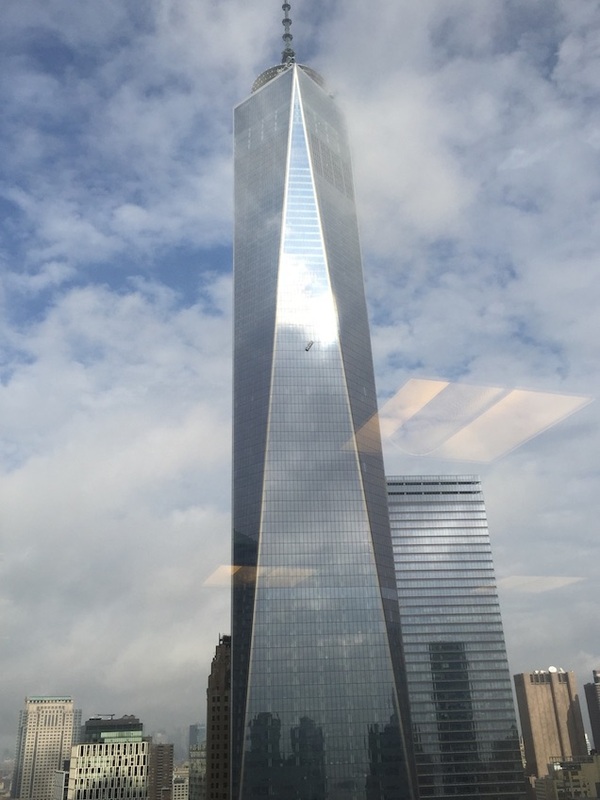 UPDATE 2:16 pm: The two workers were rescued at 2:10 pm, after being stranded outside 1 WTC for almost an hour and a half.